Actually I think we're having spaghetti & meatballs tonight. But I got winners! So the winners are trillian42 and Ann! 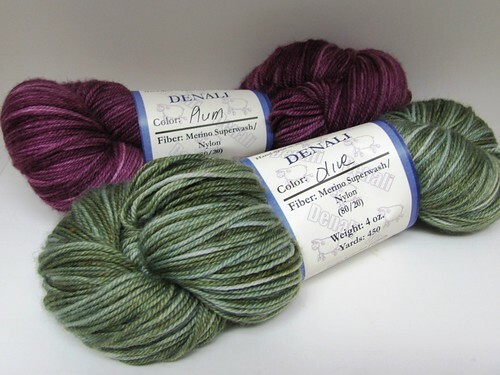 Winner number one (trillian42) gets this lovely skein of Plum Denali and her choice of any PicnicKnits pattern to go with it. And winner number two (Ann) gets this lovely skein of Olive Denali (seriously I couldn't decide what color so I got both) and her choice of any PicnicKnits pattern. Yay for winners! Yay for dinner!